British officials say Prince William's wife, Kate, has given birth to a baby boy, the couple's first child and the heir to the British throne. 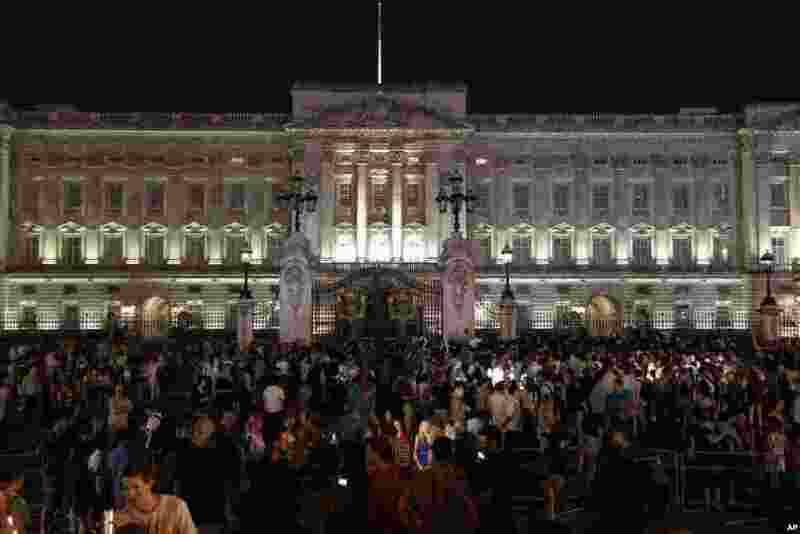 1 People gather outside a floodlit Buckingham Palace in London to mark the birth of a baby boy to Prince William and Kate, Duchess of Cambridge, July 22, 2013. 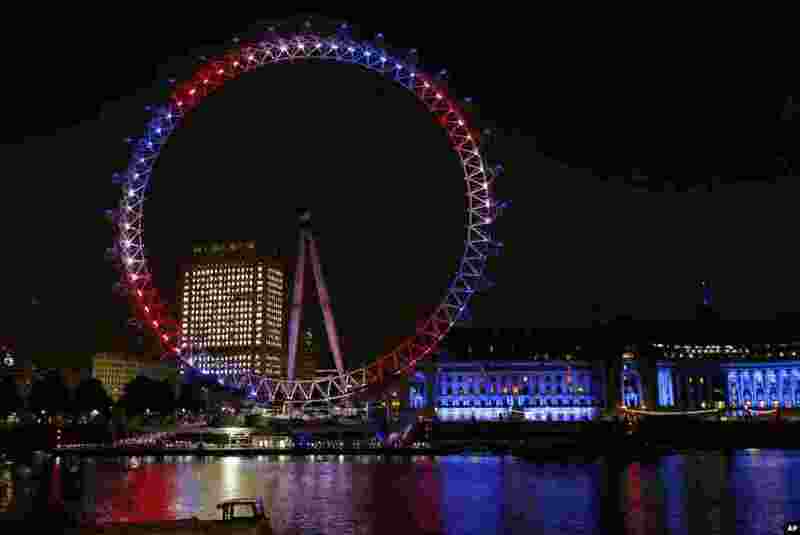 2 The London Eye on the banks of the Thames is lit up in red, blue and white to mark the birth of a baby boy to Prince William and Kate, Duchess of Cambridge, London, July 22, 2013. 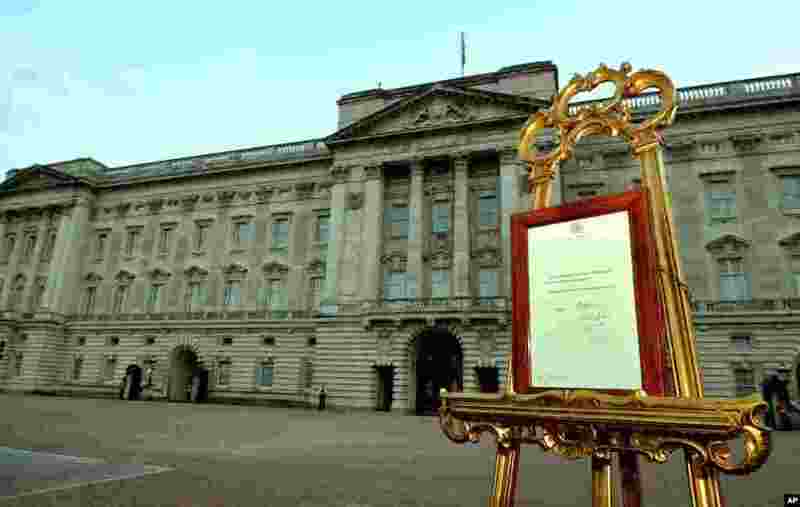 3 An easel in the forecourt of Buckingham Palace carries an official document to announce the birth of a baby boy, at 4:24pm to the Duke and Duchess of Cambridge at St. Mary's Hospital, July 22, 2013. 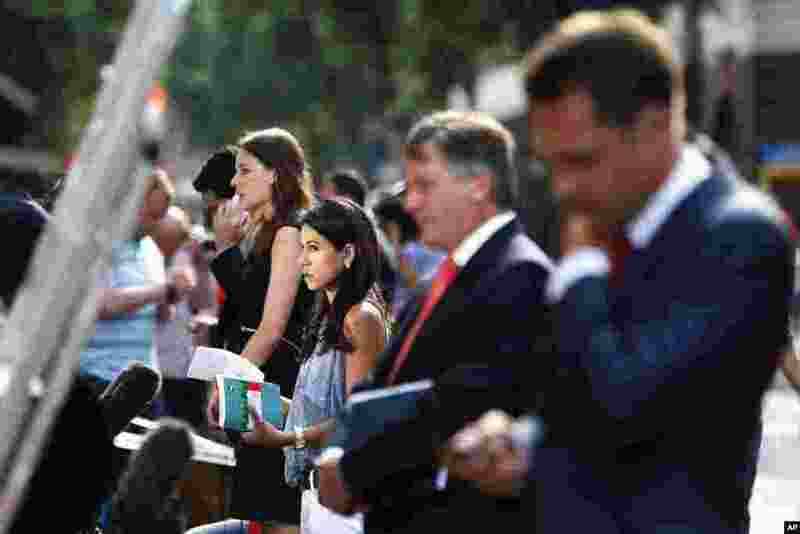 4 Members of media give live reports across from St. Mary's Hospital exclusive Lindo Wing in London, July 22, 2013.